Categories: All Categories<B>CLOSE OUT SALE!</B><B>GIFT CERTIFICATES</B>AIR INTAKES / FILTERS & ACCES. HONDA VTX 1300 (all) HONDA VTX 1800 (all) INDIAN HONDA FURY, VT1300 models SUZUKI M109 TRIUMPH FUEL INJ. CONTROL & JET KITS AIR INTAKE ACCESSORIESAPPAREL / ETC Belt Buckles Eyewear Face Masks / Cooling Vests, Etc. Motorcycle Jewelry Wrist Watches Xchoppers T ShirtsBATTERIES, CHARGERS, ETC.BATWING FAIRINGS Batwing Mounting Kits Batwing Farings Batwing AccessoriesBODY Batwing Fairings Batwing Fairings Batwing Fairing Mtg. Kits Batwing Fairing Accessories Body, Head Light Cowls Chin Fairings / Rad. Covers Fenders Gas Filler Options Misc. Chrome & Billet Touring AccessoriesBRAKES / SS BRAKE & CLUTCH HOSES Honda VTX 1800 Honda VTX 1300 Honda VT1300 Fury Saber, Interstate & Stateline Suzuki M109 / C109 Ducati Diavel Multi-Bike AccessoriesCHROME & BILLET ACCESSORIES FURY, SABER/STATELINE/INTERSTATE INDIAN SCOUT VTX 1300 C VTX 1300 R/S VTX 1800 C/F VTX 1800 R/S/N SUZUKI CRUISERS TRIUMPH MOTORCYCLES UNIVERSAL APPLICATIONSCOMMUNICATIONS / RADIOS / ETC.COVERS, MOTORCYCLECUSTOM TRIPLE TREESENGINE GUARDS / HIGHWAY BARSEXHAUST Fuel Inj. Control. and Jet Kits Gaskets, Baffles, Tips, Etc. HONDA FURY - VT13CXA SABRE / INTERSTATE / STATELINE VTX1300 VTX1800 750 Shadow Spirit 1100 Honda Spirit/Ace/Aero/Sabre SUZUKI M109 INDIAN SCOUT UNIVERSAL Yamaha TriumphFAT TIRE KITS & PARTS HONDA VTX HONDA FURY INDIAN SCOUT SUZUKI M109 / C109FENDER STRUTS FOR WIDE FENDERSFENDERS HONDA FURY FRONT & REAR FENDERS HONDA VTX FRONT & REAR FENDERS Rear Fenders Fender Struts - X Sickels Fender Front Fenders - VTX Pre Fit Front Fenders - Universal Fit Custom Tail Light Kits INDIAN SCOUT FENDERS MISC. UNIVERSAL FRONT FENDERS HONDA VT1300 FRONT FENDERS SUZUKI M109 FENDERS / ACCES. HONDA SPIRIT/SHADOW 750FOOT PEGS, FLOOR BOARDS & ADAPT. 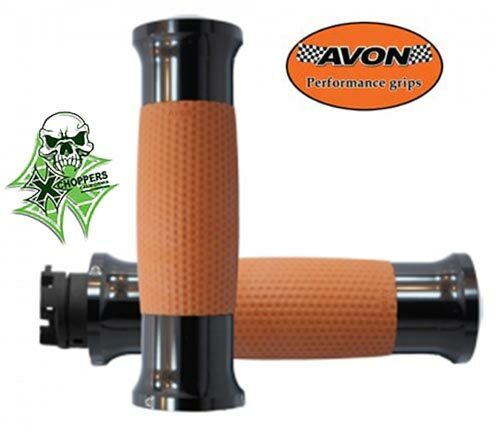 ADAPTERS FLOOR BOARDS FOOT PEGS HIGHWAY PEGS SHIFT / BRAKE - COVERS HEAL/TOE SHIFTERSFORWARD CONTROLS VTX 1300 VTX 1800 VT1300, Fury, Sabre, Stateline,FUEL MANAGERS FOR FUEL INJECTIONGAUGES, CLOCKS & ELECTRICALGRAPHICSGRIPS, LEVERS, CONTROLS, CRUISE Cruise Control Grips Levers Misc. ControlsHANDLEBAR RISERSHANDLEBARSHELMETS Helmets -Half Helmets - Modular Helmets - Open Face Helmets - Full Face Helmet AccessoriesHONDA 600 / 750 / 1100 MODELS Air Intake Body / Seats Chrome & Billet Exhaust & Access. Forks / Suspension Windshields Handlebars / Risers / Controls / Misc.HORNSINDIAN SCOUT AIR INTAKE / FUEL MANAGERS BACK RESTS / RACKS / PADS CHROME & BILLET ACCESSORIES ENGINE GUARDS EXHAUSTS FAT TIRE KITS - Indian Scout FENDERS FOOT PEGS / CONTROLS HANDLEBARS / LEVERS / GRIPS LICENCE PLATE ETC. MIRRORS MISC. SADDLE BAGS / MISC BAGS SEATS SHOCKS/SUSPENSION/TRIPLE TREES TIRES - Scout WINDSHIELDSLICENSE PLATE FRAMESLICENSE PLATE SIDE MTS & LIGHTSLICENSE/TAIL LIGHT / MOUNTLIGHTS - ALL KINDS Auxillary Lights / Turn Signals Axillary Switches Headlights L.E.D. Accent Lighting Light Bars / Driving Lights Replacement Light Bulbs Tail LightsLOCKS & ALARMSMIRRORSMISC.OIL FILTERSPERFORMANCE & MAINTENANCE PARTSPIT ACCESSORIESSADDLEBAGS, MOUNTS & MISC. BAGS Bag Mounting Systems Misc. Bags & Accessories Saddlebags Sissy Bar Bags Top TrunksSEATS SEATS - HONDA FURY SEATS - INDIAN SCOUT SEATS - VT1300 Sabre, Stateline, SEATS - VTX1300 SEATS - VTX1800 SEATS - SPIRIT 750 ACCESSORIES PILLION PADS (REAR SEAT) SEATS - SUZUKI M109 SEATS - MISC.SHOCKS, SUSPENSION, TRIPLE TREES Indian Scout Suzuki M109R VTX Triple Trees & Forks Honda Fury & VT1300 Rear Shocks and Air Ride Susp. Honda Fury Honda VTX 1300 & VTX 1800 Indian Scout Suzuki M109 Tools Triumph Air Susp. Accessories Triumph MotorcyclesSIDECARS - CHAMPIONSISSY BARS / BACK RESTS / RACKS VTX 1300 VTX 1800 VT1300 Fury, Sabre, Etc. Suzuki M109, C109 Racks & Misc.SUZUKI M109 / C109 Air Intakes / Filters & Access. Brakes, Hoses, Etc. Chrome and Billet Exhaust/Intake/Fuel Fenders / Body / Etc. Filters - M109 Foot Peg Adapters Foot Pegs & Floor Boards Grips / Levers / Controls Handlebars / Risers / Adapters License Plate Mounts Lights / Signals / Auxillary Headlights Signals / Auxillary Lights Tail Lights MISC. Seats - Suzuki Sissybars, Backrests, Racks Suspension Tachometers Wheels & Tires WindshieldsTACHOMETERSTIRES & ACCESSORIES Front Tires Rear Tires Tire Repair Kits, Tools & Acces.TOOLSTRAILERS - CHAMPIONTRAILERS - KENDONTRIUMPH Air Intakes, Filters & Accessori Chrome & Billet Electronics - Comunications Exhausts Handlebars and Risers MISC. Pegs & Floor Boards Sport Fairings / Windshields Suspension- Shocks, Forks, Trees WindshieldsWHEELS & ACCESSORIESWINDSHIELDS "Batwing Style" Fairings Indian Scout VTX 1300 VTX 1800 750 & 1100 Honda Twins Honda Fury Suzuki M109R TRIUMPH Universal Fit Shields Accessories Windshields for T-barsWAX, CLEANERS, ETC.DUCATI DIAVEL Anodized Billet Parts Carbon Fiber Parts Service Parts Special Tools Brakes Misc.USED MISC.